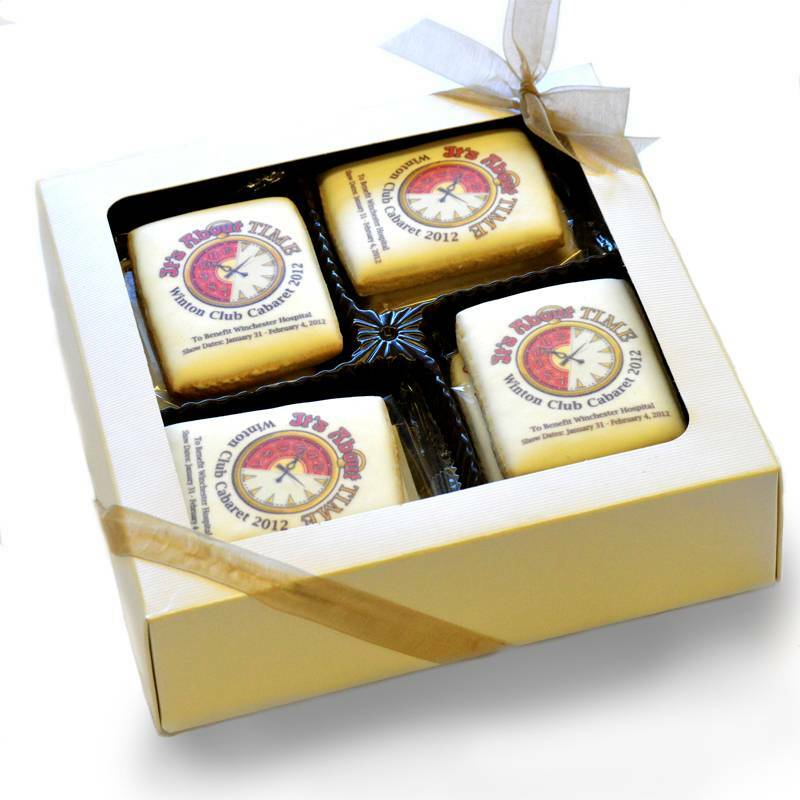 A dozen buttery shortbread cookies, printed with your full color design and showcased in a clear gift box with bow. 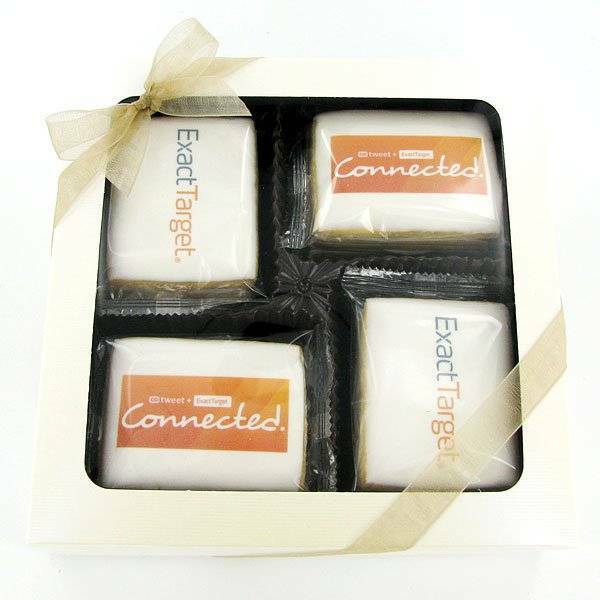 Twelve rectangular shortbread cookies with icing and your custom message directly on the icing, all individually wrapped and packaged in a beautiful gift box. The perfect gift for clients, employees, partners or colleagues. Every piece of this gift can be branded to your company or the company of the recipient. Unlike other companies, we never use edible paper. Instead, we print right on the icing. That keeps these cookies looking great and tasting delicious. If you need help coordinating a large order, orders to multiple addresses (drop shipping), marketing material inserts or other special needs, just let us know by filling out a Request Estimate form. We have years of experience managing large, complex orders nationwide.